On Monday 4 August, 2014 I accidently found myself listening to the Today programme on BBC Radio Four. John Humphrys was conducting a review of the morning papers. Not surprisingly the events of a century ago dominated the press. At one point Mr Humphrys was referring to the News International publication called The Sun. Drawing on over forty years of journalistic knowledge and research he said “ and of course The Sun never existed one hundred years ago”. Oh well. Of course it did, it was called The Daily Herald. 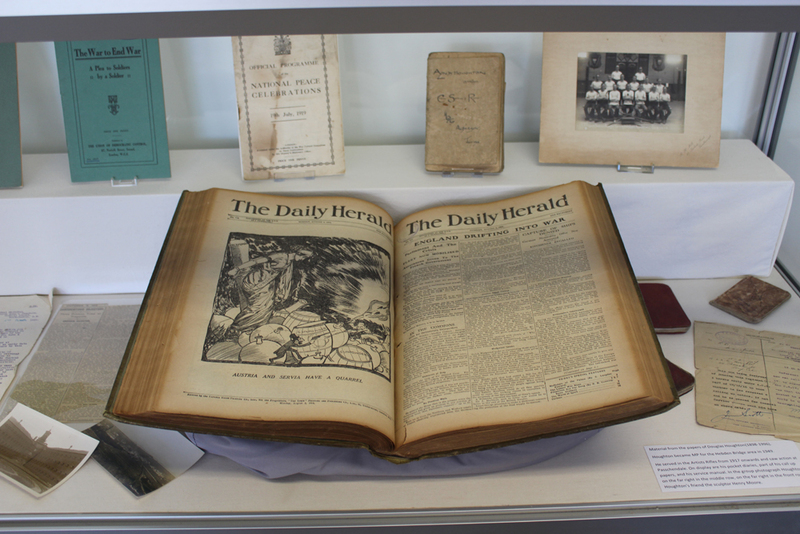 Over the coming month there will be a bound copy on display in the museum’s archive reading room, we will be displaying each front page so that it matches the exact date every day. We will be doing it for a month or so, the whole four years would just be stupid. We all know the end result! This entry was posted in Exhibitions, Labour History Archive & Study Centre, People's History Museum and tagged Labour History Archive & Study Centre, People's History Museum, The Daily Herald, The Sun, World War I. Bookmark the permalink.